One of the most famous Christian relics in the world, the Shroud of Turin (Sindone di Torino) is kept in the Chapel of the Shroud (Cappella della Sacra Sindone) of Turin Cathedral. It is only rarely displayed to the public (the last exhibition was in 2000 and the next was scheduled for 2025), but the Pope announced last year that it will be shown for six weeks in Spring 2010. There is a long tradition in western Christianity of relics said to bear the imprint of Christ's face, such as the Image of Edessa and Veronica's Veil. But neither of these were said to be the burial shroud of Christ; they were made when Christ wiped his face with the cloth. The relic of the burial shroud that is now venerated in Turin emerged in the historical record in 1354, when it was reported to be owned by the knight Geoffroi de Charnay, Seigneur de Lirey. It was displayed to the public in 1389, during which it was denounced by the local Bishop of Troyes as "cunningly painted, the truth being attested by the artist who painted it." The pope at the time, Avignon-based Clement VII, sanctioned the shroud as an object of devotion as long as it was not regarded as the actual shroud of Christ. Successive popes, however, treated the relic as fully authentic. In 1453, Sir Geoffroi's granddaughter Marguerite gave the shroud to the House of Savoy based at Chambéry, where it was damaged by fire and water in 1532. In 1578 it was moved to Turin, the new Savoy capital, where it remains today. 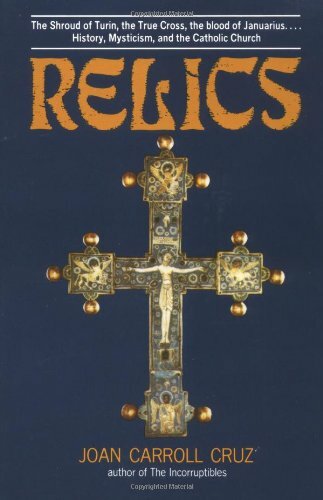 In 1983, the House of Savoy gave the relic to the Holy See. The unique qualities of the image on the Shroud were first noticed in 1898, when Secondo Pia took the first photo of the relic. To his astonishment, the image looked far more clear and natural in the photographic negative, even having a three-dimensional quality. 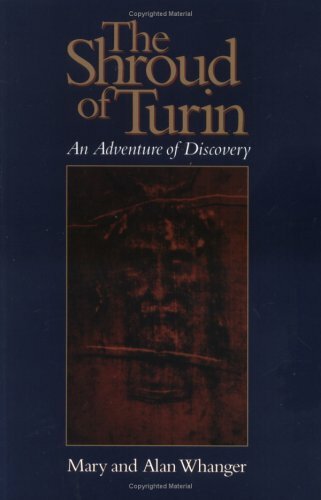 This discovery launched the modern investigation of the Shroud of Turin on a scientific basis, which still continues today. In 1988, radiocarbon dating was undertaken on postage-stamp-sized pieces of cloth by three independent labs. In an article published in Nature, all three concluded that the cloth of the Shroud dates from between 1260 and 1390, the same period in which it emerged in history. The Archbishop of Turin announced these conclusions the same year and, like the 14th-century pope, declared the shroud to be worthy of veneration but only as a representation of the Holy Face of Christ, not the actual burial shroud. However, some aspects of the Shroud remain unexplained and many objections have been raised to the processes used in the testing - for instance, the pieces of cloth have been said to be medieval repairs to the ancient relic. A full restoration of the Shroud was undertaken in 2002, during which another, fainter image was found beneath a 16th-century patch. Today, scientific studies and debates still continue and pilgrims come from across the globe to visit the Sacra Sindone. 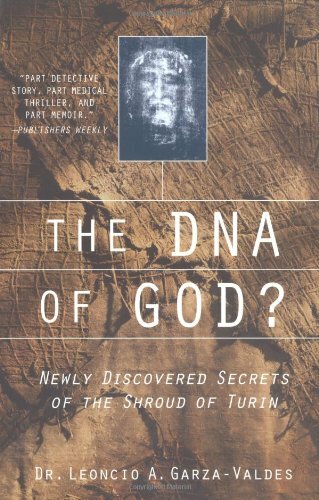 Whatever one's beliefs about its origins, the Shroud of Turin is surely one of the great religious, scientific and art-historical mysteries of the modern world. According to believers, the divine light and power that brought Christ back to life at the Resurrection made a unique imprint of his body on his burial shroud. Discarded when Christ left the tomb on Easter morning, the Holy Shroud was preserved by Christians to this day, eventually finding its way to Italy via Cyprus and France. 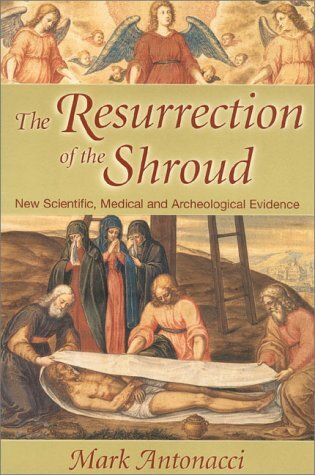 For many, the Shroud's origins have not been satisfactorily explained by scientists or skeptics and it remains one of the holiest Christian relics, not to mention an important proof of the Resurrection. Located behind the apse of Turin Cathedral, the Chapel of the Shroud has become a prominent part of the cathedral complex with its unique spiral roof. It was built by Guarino Guarini in 1668-97 and restored after a fire in 1997. In the chapel, the Shroud is locked in a silver casket within an iron box inside a marble case. Facing this is an altar, on which stands the urn that traditionally held the relic. Pews facing the Shroud provide a place for prayer and veneration. 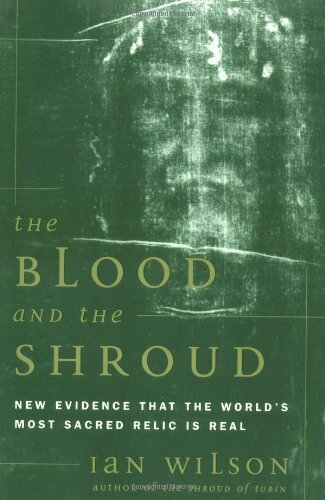 The Shroud of Turin is a long strip of cloth, measuring 14'3" x 3'7" (4.36m x 1.10m). It contains two images: a front and a back side of a man, as though the shroud was first wrapped underneath the body, then over his head and down to his feet. The man is thin, bearded, 5 feet 7 inches tall, and appears to suffer from wounds consistent with crucifixion. The Shroud has been only rarely displayed to the public since its arrival in Turin, including just five times in the 20th century: the marriage of Prince Umberto (1931); the 400th anniversary of the Shroud's arrival in Turin (1978); and three other special occasions. Last shown to the public in 2000, the next display was scheduled for 2025 by Pope John Paul II. However, Pope Benedict XVI recently announced that the Shroud will be displayed from April 10 - May 23, 2010, the longest period in its history. This will be the first opportunity for the public to view the Shroud since the extensive restorations of 2002. Advance bookings are required (which can be done on the official website) and many Catholic tour groups will be visiting the Shroud as well. Paul Blanchard, Blue Guide Northern Italy: From the Alps to the Adriatic, 12th ed. (New York: Somerset Books, 2005), 40-41. Discover a great choice of Turin hotels and enjoy the best rates. Below is a location map and aerial view of the Chapel of the Shroud. Using the buttons on the left (or the wheel on your mouse), you can zoom in for a closer look, or zoom out to get your bearings. To move around, click and drag the map with your mouse.